Actually, a tale of two camping styles and the versatility of a truck camper. After a little “racing in the water” in St. John, we had to get to a client in BC – then quickly move down to SF for some client hand-holding. No problem. First, there’s time for peaceful rest at the Boundary Creek campground in the “lower mainland” … a small provincial campground that was empty. 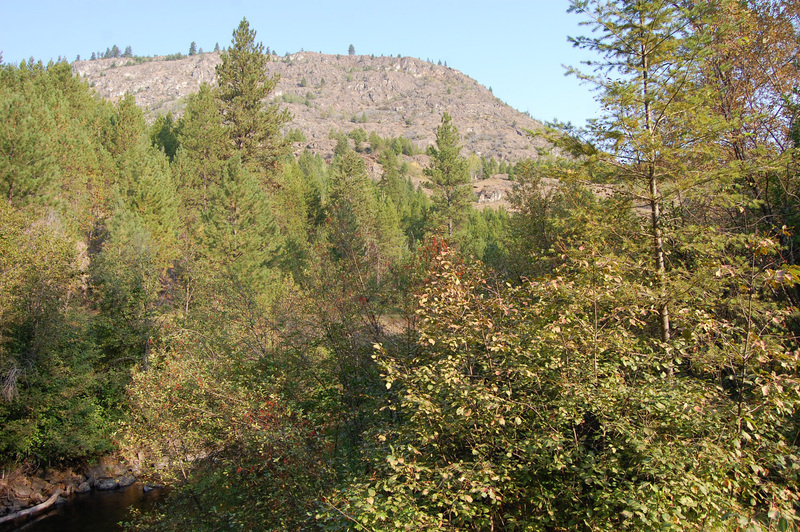 I mean, this is premier camping time – and the campground was empty (aside from the camp host). 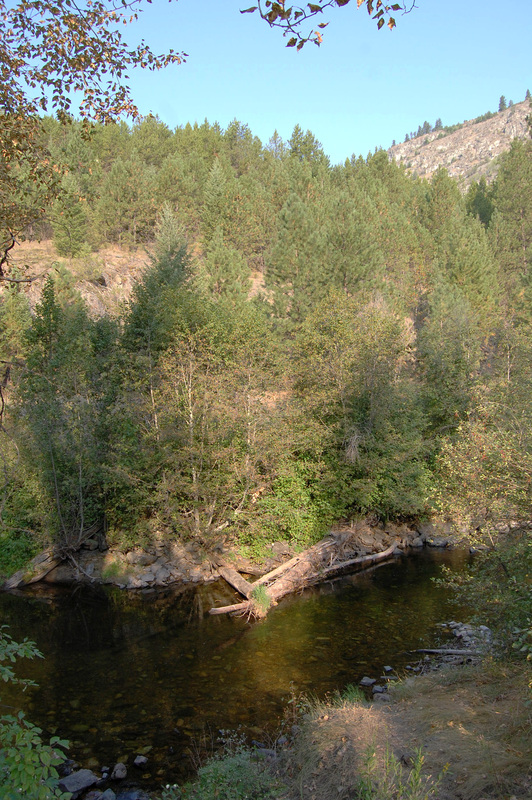 Next to the creek, eh? Amazingly peaceful … a great site to relax. Right off the road, nestled by a creek with a view out the back window. 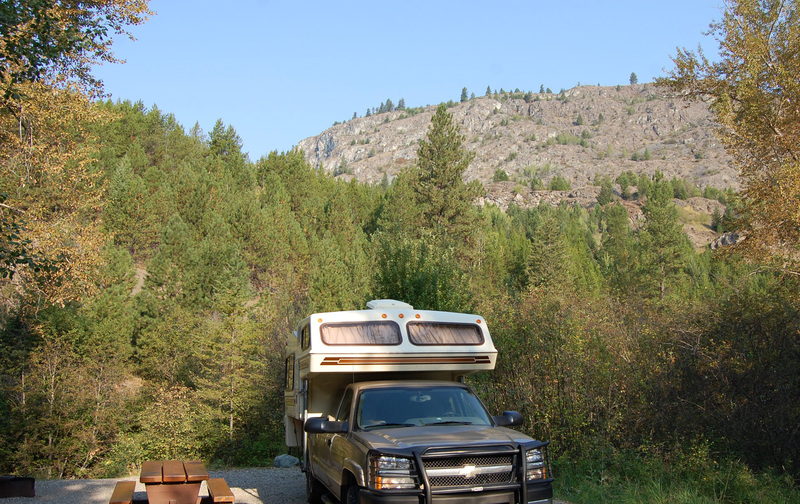 It’s tough to break away from this lightly used campground in beautiful BC … but we must get a little work done. Then … gotta run back across the border to make the dash to California. 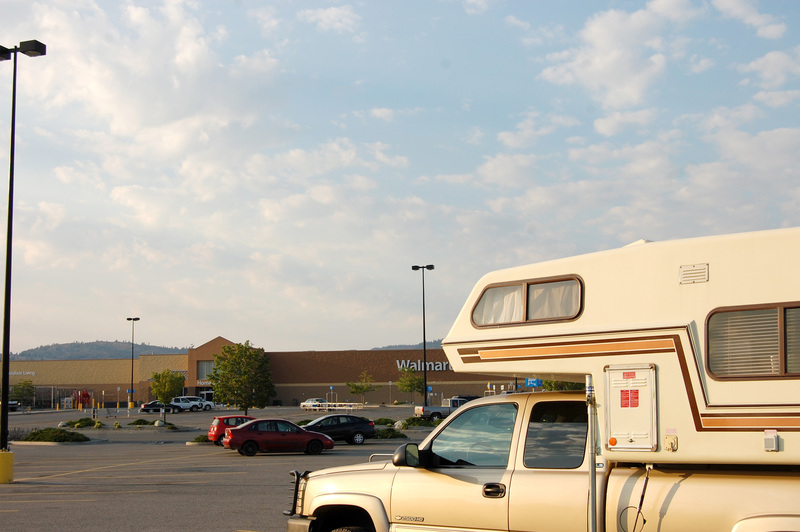 A “campsite” that every TC recognizes in good old faithful Wally World … this one in Omak. Not the peaceful site by a creek, but a place of rest nonetheless.